Sunyyo is a manufacturer who is dedicated to creating a better office space for people with our superior ergonomic products. We take care of your health, help you to improve your life. The idea behind SUNYYO is simple: keep you moving. Desks are where fresh ideas created, problems to be solved and business are built, desks are one of the most important places for us. We should banish negative effects of sedentary working lifestyle. Wise and responsible leaders choose SUNYYO ergonomic office solutions to create best workforce for their company .Their employees alternate between sitting and standing while working to stay healthy and increase productivity. 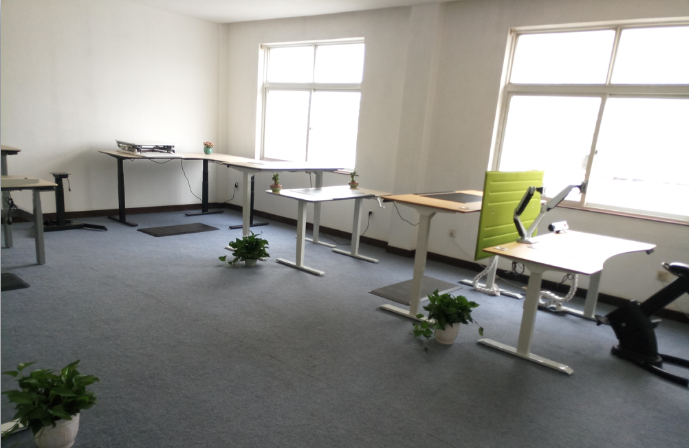 The invest in SUNYYO’s ergonomic products you will get an improved working environment and find the right solutions for your work habits and space. SUNYYO is not only a brand, we also represent life style and working attitude. Combine the technology and life, let the technology meets comfort, you will find another way of live. Just keep moving . We are grateful to be part of the sit to stand revolution. We provide innovative office solutions that improve people’s quality of working environment. We manufacture our products the old-fashioned way: we make them ourselves. No retailer, No wholesaler, No traders, No middleman. We guarantee you’ll get an incredible product at the best possible price. We cordially invite every customer to visit our factory and welcome group pruchase.